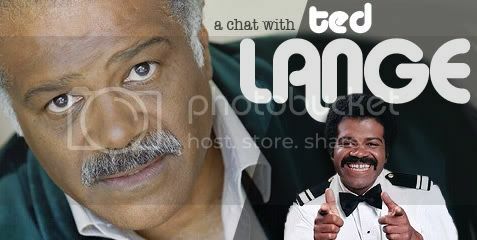 A chat with Ted Lange…? You got it! On Sunday, April 25th, TV Land will be airing its annual celebration of classic television known as the TV Land Awards. Our man Bob Westal was walking the red carpet for us, star-spotting and chatting with the occasional celebrity passerby, but as I’m ensconced here in Virginia, I have to make do with phoners. It was hardly settling, however, to have the opportunity to chat with an iconic figure of ’70s and ’80 s television like Ted Lange. Although he’s arguably best known for his role as bartender Isaac Washington on “The Love Boat,” it’s far from the only item on his resume, so I made sure to brush up on his list of credits on IMDb before getting on the phone with him. This proved to be a wise move, as it resulted in stories of a Shakespearean production and tales of working on “Wattstax,” “Friday Foster,” “Record City,” “Mr. T and Tina,” and, yes, “That’s My Mama,” too. 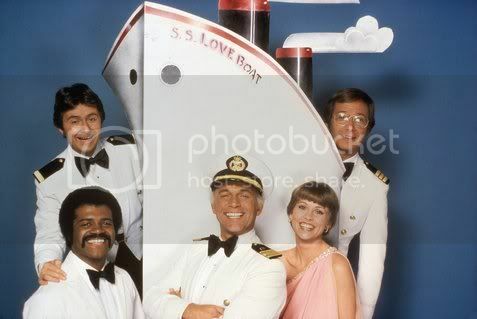 But, of course, there was still plenty of “Love Boat” banter as well, since it was that very show which led Lange to attend the TV Land Awards and reunite with his former crewmates…sorry, I meant castmates. Bullz-Eye: Hey, Ted, how’s it going? TL: Good! How are you doing? BE: I’m doing well. It’s a pleasure to talk with you. TL: What city are you in? BE: I’m in Norfolk, Virginia. Where are you? Somewhere on the east coast, I guess, given how early it is. BE: Wow, then it’s really, really early there. Are you in California? BE: He did the red carpet thing, and then he headed into the bloggers’ room, so he wasn’t in there with the action, per se, but he said it was a good time. TL: It was a good time. It was a lot of fun. BE: So was the entire cast there for the reunion? TL: Well, Gavin MacLeod (Captain Stubing) had a back operation – he hurt himself, hurt a couple of his discs – so he wasn’t able to be there. We really missed him, because, you know, he’s the anchor of the show as the captain. So I called him up and talked to him to see how he was doing, and he was a little weak, but he was recuperating well. But everybody else was there, and they all brought their kids. Fred Grandy (Gopher) brought his daughter, I brought my son…it was a lot of fun. BE: I was talking to Bob, our man who was there, and he was quite pleased that he’d gotten to talk to Bernie Kopell (Doc) on the carpet. So do you guys keep in touch aside from these occasional public reunions? TL: Oh, yeah, absolutely. We’re friends. The great thing about the show was that we made friendships, you know? We were acting buddies and everything, but off-camera…I mean, I learned how to play tennis on Bernie’s tennis court. I wasn’t really into tennis ‘til I met Bernie. He’s been a good pal, and Fred I see all the time whenever I’m out on the east coast, and Tewes…we’re all friends, and that was the wonderful ancillary benefit of the show: that we made some really lasting friendships. TL: Yeah, actually, I did two series. I did “That’s My Mama,” and I did another series called “Mr. T and Tina,” with Pat Morita. The network was aware of me, and they had done a pilot and…they had used the guy who played the postman on “That’s My Mama,” Teddy Wilson, on the first “Love Boat” pilot, and they didn’t like the chemistry of the crew, so when they did the second pilot, they kind of threw everybody out that wasn’t working and brought in some new guys…and they stuck with the “That’s My Mama” cast by bringing me in to play the bartender. (Laughs) So I was very fortunate! BE: Had you worked with Aaron Spelling before “Love Boat”? TL: No, I hadn’t, actually. Jimmy Komack was the producer of “Mr. T and Tina,” and he sat me down and said, “You’re going to go work for Aaron Spelling, so let me just tell you that he’s really a great guy.” And, of course, he was correct.